Hard-wearing woven fabric, heat-sealed at the ends to prevent them from fraying. Up to 8 woven colours. Colour woven on one side only of the ID wristband. Tamper-proof and non-reusable fastener which is closed either by pinching an aluminium ring or tightening a plastic ring or closing a snap fastening. Option to customise the wristband by weaving in your logo or text. Choose between an aluminium or plastic fastening. 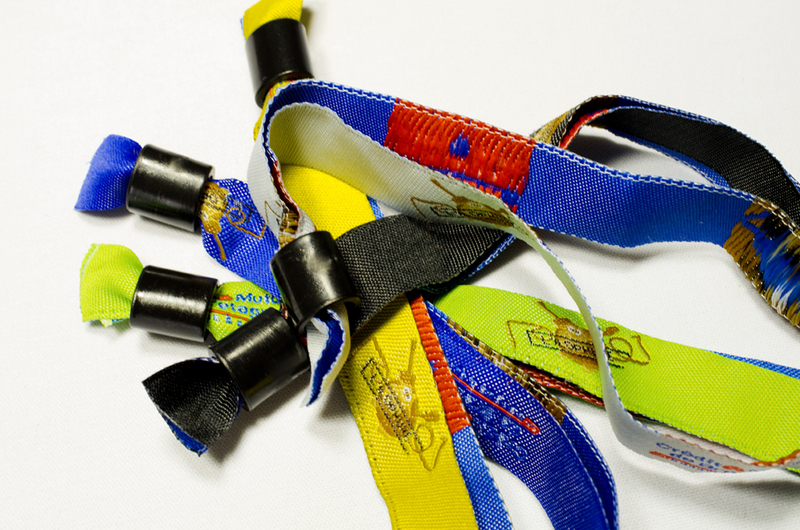 The plastic fastening doesn't require a crimping gun to close the wristband. 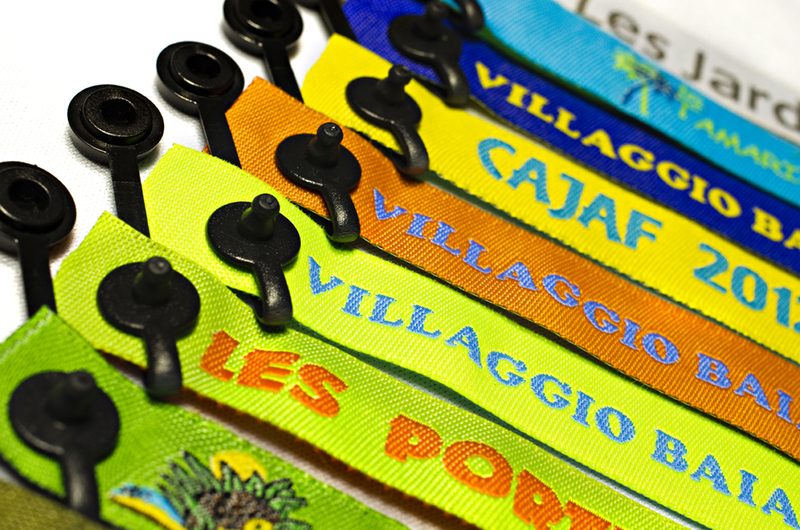 The plastic fastening works the same way as the one on the slimline polyester or vinyl wristbands. 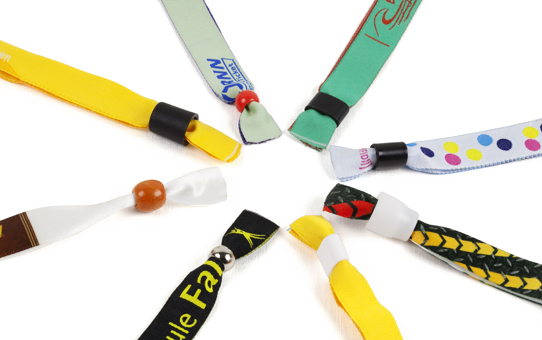 Wristbands using an aluminium ring require the purchase of a crimping gun. Contact us for more information. Wristband length: from 25.5 cm to 35 cm depending on the model. 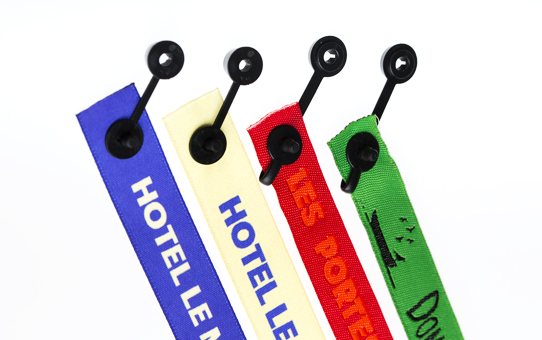 Wristband width: from 1.2 cm to 1.4 cm depending on the model chosen. Fastening: Built into the wristband - You just tighten the plastic ring or pinch the aluminium ring or clip the snap fastening! Colour: Matched to your logo or text.